Oscar Knight is a charismatic and dedicated independent residential lettings agent. We provide our landlords and tenants with a friendly, personalised and professional service tailored to suit their individual needs. A wealth of knowledge of the property market and local area ensures that whether this is your first time or one of many, your move is an effortless, straightforward process. Conveniently located in the heart of Putney we cover: Wimbledon, Southfields, Putney, Earlsfield, Battersea, Kingston as well as surrounding areas of South West London. 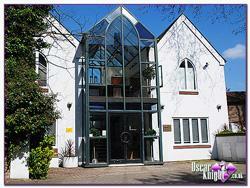 At Oscar Knight we take great pride in offering highly competitive rates alongside very attractive properties. Call today to advertise your property or to start that search for your new home. Our dynamic team of Property Consultants, Property Managers & Property Administrators & Maintenance team will look after every aspect of your let. Please call us today for up to date rates and a free valuation.